Sarah Leach, Senior Travel Consultant at our Dorchester Travel branch, travelled in style to Monaco and France. Her trip allowed her to experience the romance of the ‘city of love’ as well as the opulence that flows out of Monte Carlo. Here is how she found the experience. We travelled to Lille by Eurostar in Standard Premier Class. This was extremely comfortable with bigger seats, food included and everything served at your seat. I would highly recommend choosing this section of the Eurostar. We then went on to Paris by TGV in 1st class. Again this was very comfortable; it was a double decker train, though, so could be a problem getting luggage upstairs if you had mobility problems. Our Air France flight from Orly to Nice was only short but there was a good service with drinks. The final leg of our journey was a helicopter transfer to Monte Carlo with Monacair. What can I say? We definitely arrived in style! It was so easy as well. Juts a six-minute flight along the coast and you are at your hotel. A definite must. Our flight home was with BA. Once again, it was a short flight with snack and drinks served. This was quite a small boutique hotel, tucked down an attractive side street. 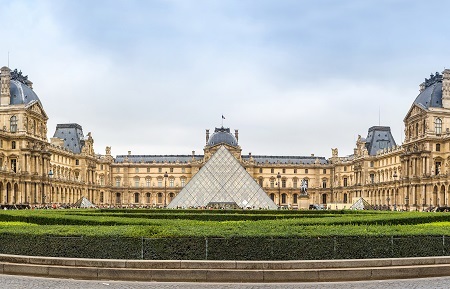 It’s in a fantastic location, in walking distance of the Louvre, and has views of Eiffel Tower and the Palais gardens opposite the hotel. There’s a contemporary feel inside with a reception area, seating and a bar (very stylish Parisian Decor). The staff were extremely friendly. My room was decorated in very calming pale green and cream colours. It overlooked the front of the hotel and the small balcony provided lovely street views. A plate of pastries was left in my room on my arrival, which was a nice, not to mention delicious, touch. A large modern en-suite with huge shower completed the room. We ate at the hotel and the menu was amazing. There were some unique combinations that were absolutely top class and the restaurant is open to non-residents too. Breakfast was buffet style with continental and tea/coffee served to you. There wasn’t a huge selection but there was definitely enough and the staff were willing to meet any requests (i.e omelettes or boiled eggs). This was a large hotel set into the hilly landscape of Monte Carlo, with the main entrance situated right on the hairpin bend of the Grand Prix track. Incidentally, hairpin bend rooms can be booked for the Grand Prix or reserved on a daily basis during race weekend for up to 12 people. Alternatively, you can choose to watch the action from a grandstand that is install on the roof terrace. The location was great; there were fantastic sea views offered at the front and it was only 5 minutes’ walk from Casino Square. As you would expect from a large chained hotel, the reception area was big with plenty of seating, shops and a casino. The main restaurant had the most impressive sea views and the food was top-rated in quality and choice. The hotel also offers the NOBU restaurant, which features Asian-inspired cuisine as an alternative. Breakfast was served in the same large restaurant. It was buffet-style with an absolutely amazing choice of continental food. Tea, coffee and juices were served by the friendly staff. My room was a sea view room and was very big and airy. It was decorated in light blues with a big balcony, table and chairs (all balconies are very private due to the rooms being on an angle). We also got to look inside the garden view rooms and these are exactly the same size but set around a well-maintained garden. During our stop in Lille, we had a 2-hour walking trip. This was very informative and the guide’s knowledge was great. I would recommend this if you are staying in Lille for a limited time as it allows you to see everything the city has to offer. In Paris, due to our limited time there, we had a morning driving city tour. We got to see most of the main sights and got the general feel of what Paris has to offer. Again, our guide was informative and certainly made us all want to go back to see the points of interest when we had more time. In Monte Carlo, we watched the traditional ‘changing of the guards’ at the palace and visited a brewery where you can sample the different beers before purchasing their own branded bottles and glasses. We also sat in the Cafe de Paris (next to the Casino) to people watch. Oceanarium – I would recommend this to everyone, especially families. It’s a fun museum showing the history of the ocean together with plenty of varieties of fish in aquariums. Classic Car Museum – A huge collection by the Prince of Monaco. It’s difficult to say what the highlights were, as the whole trip was extremely luxurious and interesting. However, I think one of the highlights would be the helicopter transfers from Nice airport to Monaco and back again. This was definitely an experience that I will never forget. We were also treated to a meal at a Michelin star restaurant in the Monte Carlo Bay Hotel. Again, this was a fantastic experience and enabled us to sample top-class cuisine. The whole trip was pretty amazing but I guess one thing that was a slight hiccup was the arrival into Paris Gare du Nord from Lille. Unfortunately, there was a delay on the train and by the time we arrived the platform and the whole station were jammed with people. This made it confusing to see where we had to go to meet our driver. This was not Kirker’s fault, but I guess people need to be aware that the station gets packed at certain times of the day. I felt extremely uncomfortable as there were so many people to fight my way through. However, we were assured by Kirker that if you get the direct Eurostar train from London you arrive at a different platform and you would not have this problem. Yes, I would definitely recommend a similar trip to mine. Either destination would be good as a single trip but this is also a great twin-centre break that you may not have thought of. It’s a really good combination of the cultural sights and the romance of the city of Paris, together with the luxury and stylish coastal resort of Monte Carlo. This would be a good compromise for holidaymakers that maybe cannot decide between city or coast. This trip was definitely a luxurious one but Monte Carlo isn’t actually as expensive as people assume it will be. It’s also a very family-friendly resort. 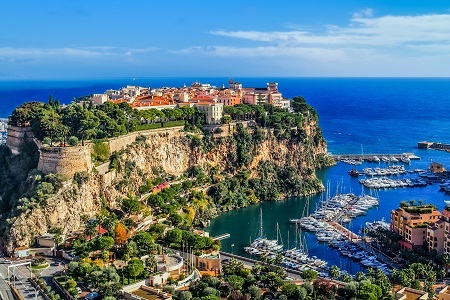 If you would like to plan a twin-centre trip, like the one that Sarah enjoyed, or a city break in either Pairs or Monte Carlo, we can help put everything together for you. Call us today or visit one of our many travel agents in Norfolk, Suffolk, Essex and along the south coast.